Then tonight the Phillies began a series with the Pirates. Joe Blanton had another great start and pitched through 7 1/3 innings, allowing just 1 run, a solo homer. It was a great job by Blanton and a real boost to the starting rotation. The offense did not score much, but got just enough to win the game for Blanton. Werth rewarded Manuel for his All-Star decision by smacking a 2-run double in the 3rd inning. Shane Victorino did the same for the fans who voted him in by going 3 for 4 on the night. And Chase Utley, Mr. All-Star himself, had 1 hit, 1 walk and scored a run. 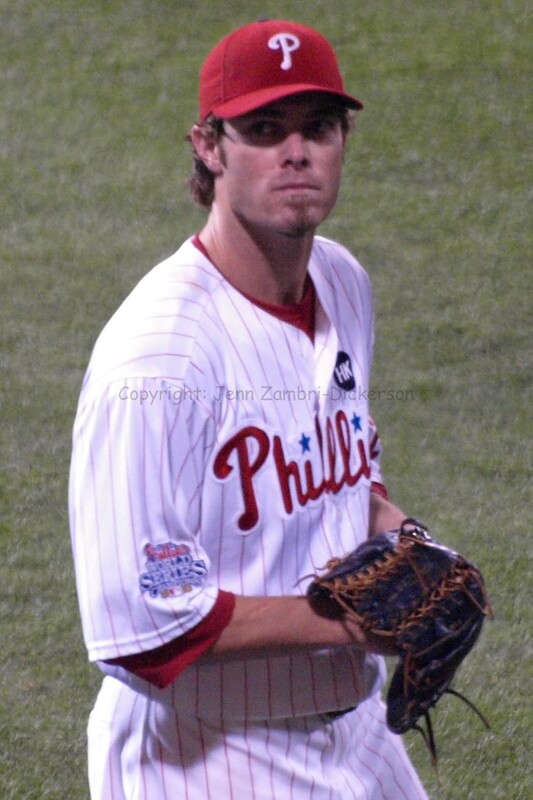 Final score was 3-2 with Brad Lidge getting the save, although another nerve-wracking one after he gave up a solo homer. But, a win is a win :O) We’ll take it. By the way, for anyone who has been following the Friday Night Phever game on CSNPhilly.com with Ricky Bottallico, I just won! Whoo Hoo! Before I get to FOX Sports, I have a game re-cap for you. Jamie Moyer, the oldest player in the major leagues, took the mound today against the New York Mets for his 600th career start! Congratulations Jamie! What a milestone! Moyer was outstanding in his effort and allowed only 1 run in 6 1/3 innings. Not only is Jamie an amazing baseball player, he is an even more amazing human being. Jamie dedicates countless hours to charity work with The Moyer Foundation and is ever-present in the community; a true role model for children and people of all ages. It is refreshing to see such success come to a person who really deserves it. This gives the Phillies a series win at home for a change, and more importantly, an opportunity to sweep the Mets! I will be at the game tomorrow and bring back news and photos. In some very odd news, Paul Bako, our back-up, back-up catcher (not a typo) has started 3 of the last 4 games. This has given me some reason to speculate. 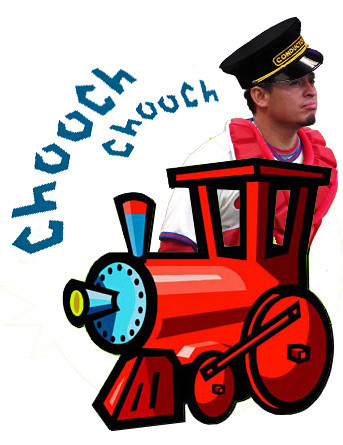 Could Carlos Ruiz be on the trading block with the Phillies desperately seeking pitching? If they are in the middle of negotiating with another team, it makes sense to sit Ruiz as they would not want him to get hurt while making decisions. With Chris Coste as a solid back-up and Lou Marson waiting in AAA, this may not be such a strange move. Another possibility is that Ruiz is hurt again and no one is talking. Then again, maybe Charlie Manuel was just feeling a bit silly this week? We shall see as the week progresses. 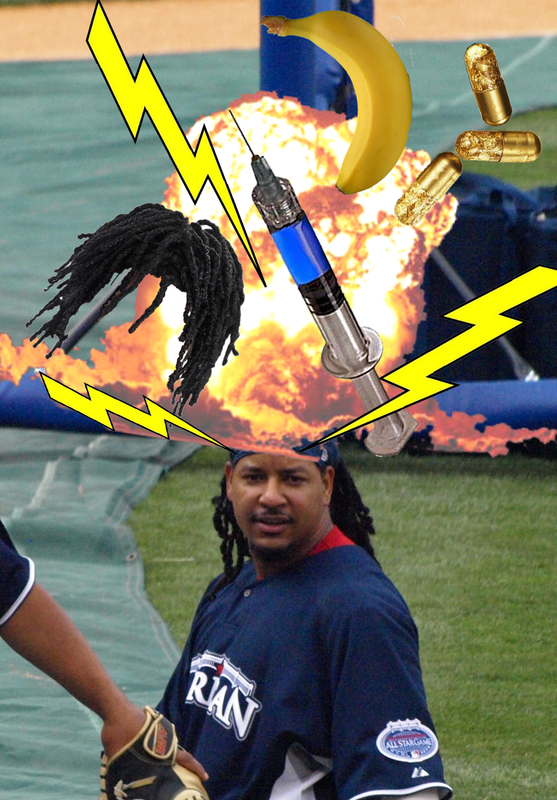 Can someone please explain to me WHY my Phillies – Mets game today was interrupted multiple times so that FOX sports could should gratuitous footage of Manny Ramirez at bat in San Diego? It was Manny’s 2nd game back with the Dodgers since serving a 50-game suspension for violating MLB’s drug policy. Can I get a big “WHO CARES? ?” from the peeps, please? Thank you. Seriously, it was not Manny setting some amazing record; not Manny greeting aliens from a spaceship for our first extraterrestrial encounter; not even the President of the United States giving an important speech…Manny’s 2nd game back after a STEROID suspension. Heck, not even the 1st game back (even so, I would not have cared to see that either). Has FOX Sports reached an all-time low in trying to get ratings? You betcha. It was like them interrupting a blessing from Jesus Christ himself to show a drive-by shooting. What exactly were they expecting to happen? That Manny’s head would explode? Or, he was going to announce the cure for cancer? Now THAT would have been news. And yet, on this most important day in America where we celebrate the freedom of our great country, we are subjected to this ridiculous, infantile Mannywood hype by FOX Sports. On the 70th anniversary of Lou Gehrig retiring from baseball while suffering from a fatal disease…we get Manny-Insanity. On the day Jamie Moyer celebrates his 600th career start as a pitcher, are we shown historical footage of the eldest current player in baseball…a person who is a great humanitarian as well? No…we get dreadlock fever. Truly disgusting. FOX Sports – you should be ashamed of yourselves. In this 3-game series against a very good Red Sox team, the Phillies managed to escape with one win yesterday. The game did not start out great, as JA Happ struggled in the 2nd inning and gave up 4 runs, including back-to-back homers. But Happ went to his Happ-Y place and recovered nicely; although he walked 6 and allowed 5 runs total, Happ still managed to pitch though almost 6 innings to give the bullpen a much needed rest. The Phillies offense battled back and scored 4 runs in the 5th and then 6 in the 7th inning. Singles by Pedro Feliz, Chris Coste and Chase Utley and a double from Ryan Howard led the charge in the 5th. 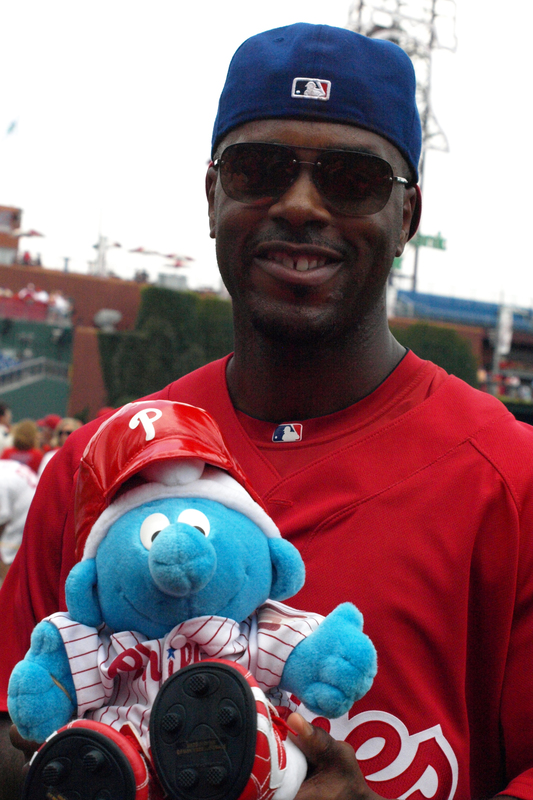 Then in the 7th, Jimmy Rollins emerged from his slump and hit a lead-off home run. 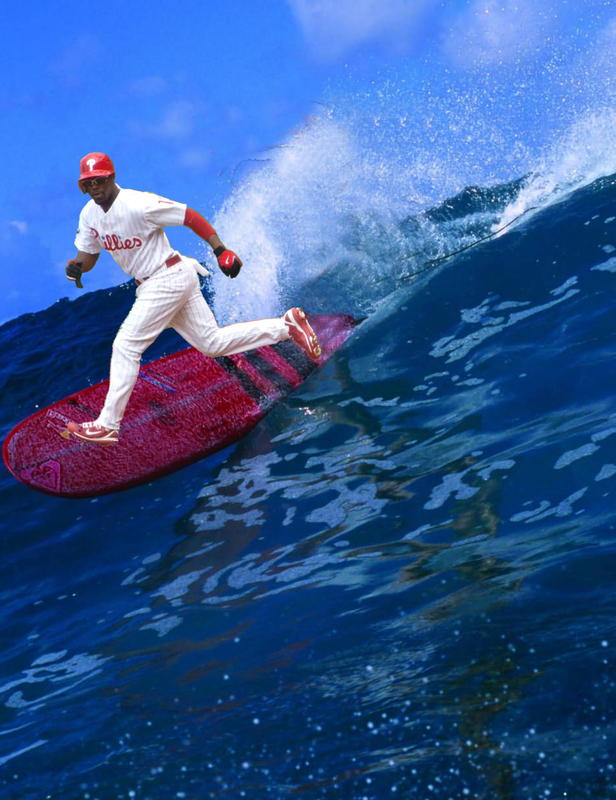 The rest of the team jumped on his back, decided to Hang Ten and ride the wave for 6 more runs which included 2 of those runs scored after Sox pitching hit J-Roll in his 2nd at-bat of the inning and then issued a walk to Shane Victorino all with the bases loaded to force in runs. The game ended with a score of 11-6; the exact same score of the previous day’s game, but this time, it was in the Phillies favor. Tuesday night, the Phillies will host the Toronto Blue Jays for some more nerve-wracking interleague play. Cole Hamels will take the mound at 7:05pm and Phillies fans will get to say hello to a few old friends; Scott Rolen and Rod Barajas. 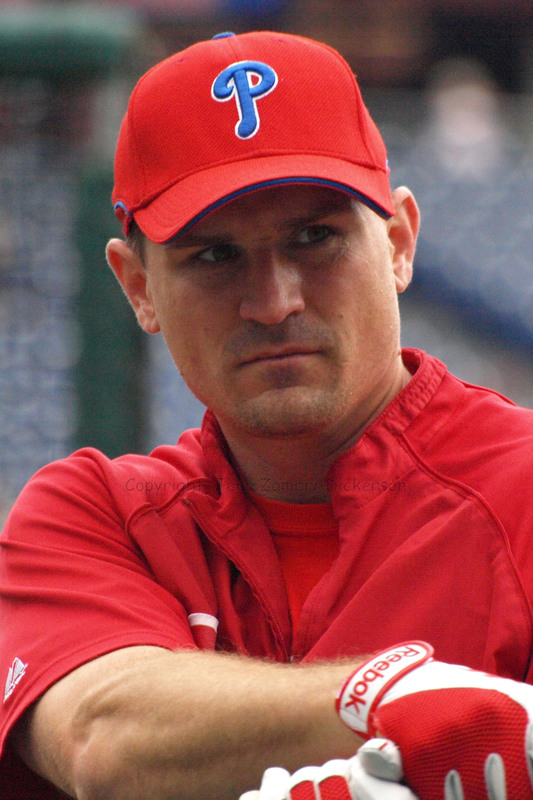 So I know how Philly fans feel about Rolen, who publicly criticized the team years ago when he left, but he is still a cutie. Please try to be gracious and not boo him…asking too much? Oh well. Last night, the MLB Network premiered its new reality TV series, “The Pen,” which will follow the Phillies bullpen from Spring Training all the way to the All-Star break this year. Last night’s episode gave a behind the scenes look at how pitchers are evaluated in Spring Training, how the 5th starter was chosen, what some of the players do in their free time with their kids and family, the impact of losing Harry Kalas and everything in between. They even showed the agony that JA Happ went through when he had to call home to tell his family that Chan Ho Park was given the 5th spot and that he was unsure if he would make the team. Cameras followed him as he sat on his bed in the hotel and made the phone call. Gut wrenching, emotion stuff. It was absolutely outstanding and after the hour was up, I was sad that it had to end. But luckily, a new episode will air every Sunday night. Make sure to tune in! Having blown six saves already this season amidst various complaints of a sore knee, Brad Lidge recently insisted that his knee troubles were in the past. However, he was placed on the 15-day DL today, which will be retroactive back to June 7th. Does this explain his 7.27 ERA? Maybe. But placing him on the DL may very well be a combination of the knee issue plus his bad performance. Perhaps the knee, which may well be feeling better, threw off his mechanics and now he needs time to straighten things out. Lidge was looking better his last few outings, but is still not the Lidge of last season. The draft is upon us and word has it that the Phillies will take a high school prospect for their first pick (75th overall). They had a first round pick, but that went to the Mariners in the Raul Ibanez deal. We are all fine with that though, I assume :O) The draft kicks off at 6pm. Yes, it is back. The Mets voodoo is ON! J-Roll Smurf and friends have prepared the hex for this 3-game series which kicks off tonight at 7:10pm. Power of the mind, people – get out your pins and take a stab to help out J-Roll Smurf! 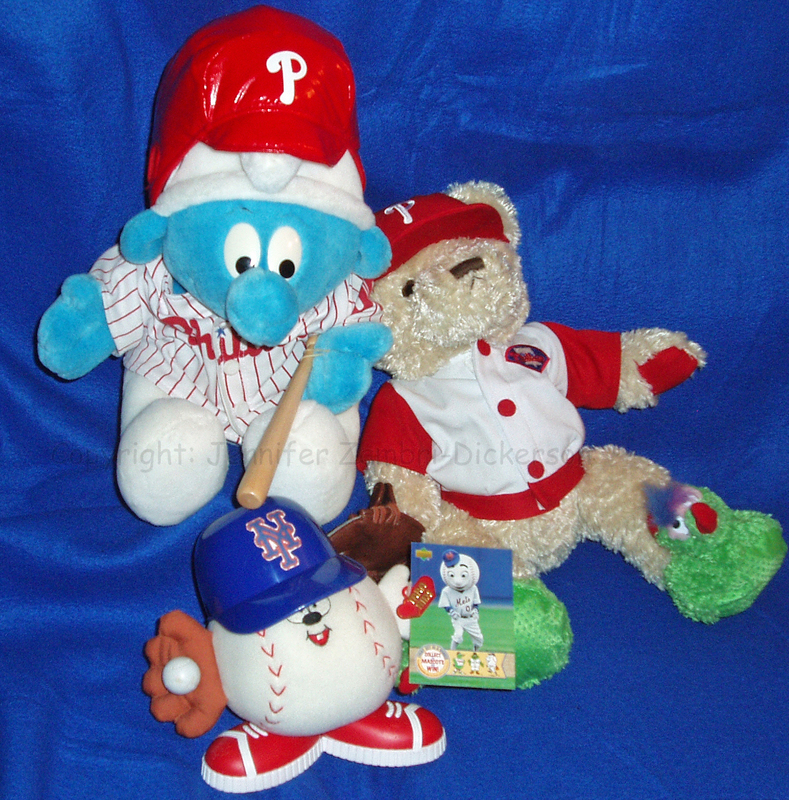 And do not forget to keep VOTING for our Phillies All-Stars! VOTE up to 25 times per day, per email address! As for the rest of this afternoon’s events, the 4-2 win over the Nats completed a 3-game sweep for the Phillies. Lending a helping hand towards this victory was Chase Utley who seems to have taken up a personal mission to make Nats pitcher John Lannan’s life a living hell; Lannan is the same pitcher who broke Utley’s hand 2 years ago and since then, Utley has made him pay for it. Utley went 2 for 3 with a walk and an RBI in the win. Chris Coste helped out, while making the most of a rare start; Coste hit a home run, a single and had 2 walks. And Ryan Howard, hot off his grand slam yesterday, nailed an RBI triple in the 7th to give his team some cushion going into the late innings. 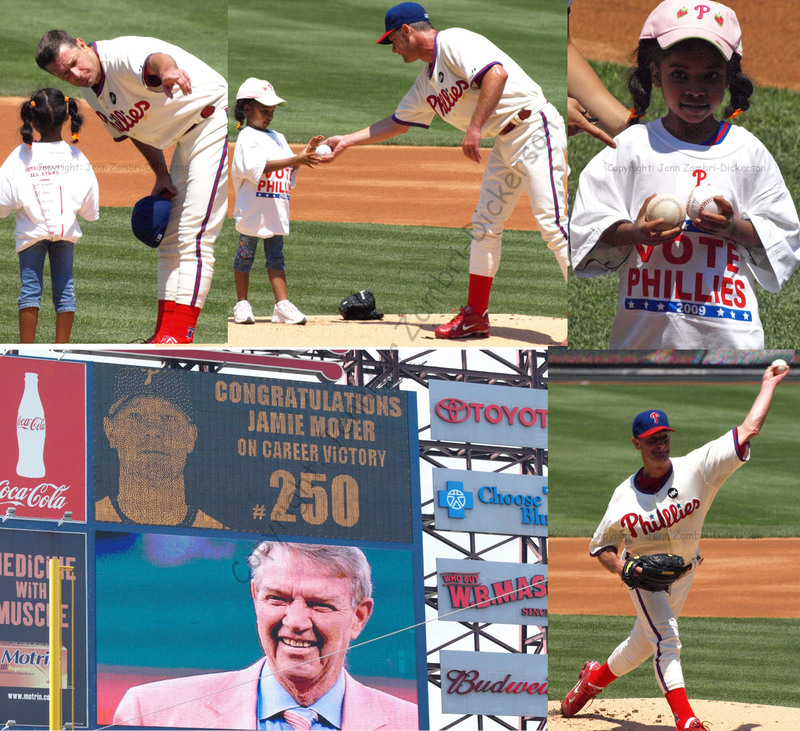 Here is the Photo Album from today’s win and historic #250 for Moyer! Don’t forget to keep VOTING for our Phillies All-Stars! VOTE up to 25 times per day, per email address!